Learn more about internationally accredited TEFL certification courses in Arequipa to teach English in Peru & around the World. Students should expect to be in class from 9:00 am - 6:00 pm (with breaks, of course), Monday-Friday. Weekends are primarily free for sight-seeing and relaxation, but some homework is required. The training center is located in the heart of Arequipa, one of the most historic cities in Latin America. 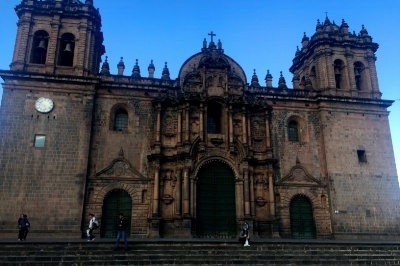 All students and graduates receive hands-on job placement assistance from the local staff in Peru in addition to lifetime, worldwide job search guidance from ITA's expert team of advisors. 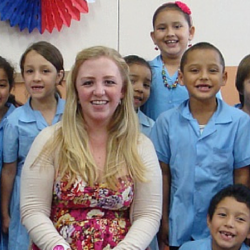 Read our Peru - Country Profile to learn about the local job market for teaching English in Peru, including salaries, interview procedures, visas & more. This internationally accredited 4-week/120-hour TEFL Certification Class in the historic city of Arequipa, Peru incorporates 100 hours of classroom instruction, 20 hours of practical teaching and observation. Taught by experienced instructors in an interactive learning environment that includes live practice teaching with local ESL students, this course provides an internationally recognized qualification to teach English professionally in Peru and around the world. All students and graduates receive lifetime Job Search Guidance to assist them with gaining employment teaching English in Peru and around the globe. Our TEFL training school is located in a residential neighborhood across from a beautiful city park near the Chili River. 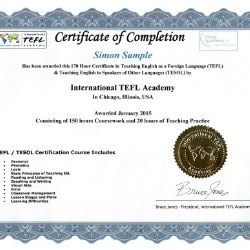 We have 13 classrooms for both English language training and TEFL preparation. Furthermore, we offer a computer lab with WiFi access, free coffee and tea, and a patio to enjoy the daily sunshine of the Andes. 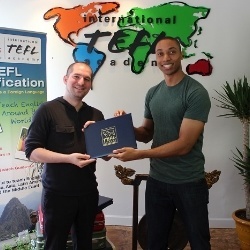 In addition to professors, our staff is ready and willing to help you with any questions you may have about TEFL certification as well as life in Peru, which represents a fast-growing job market for teaching English in South America. The Peruvian economy has expanded rapidly in recent years and with increased dependence on international trade and tourism, demand for the English language instruction has boomed. In cities like Lima, Arequipa and Cusco, the ability to speak English is a necessity for many Peruvians to gain employment. 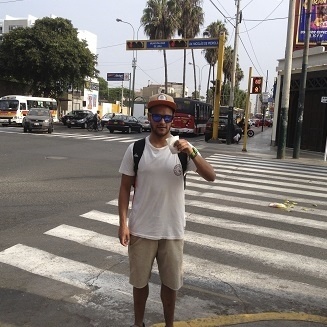 Lima alone is home to hundreds of English institutes and schools, nearly all of which seek to hire native and fluent English speakers with a TEFL certification. 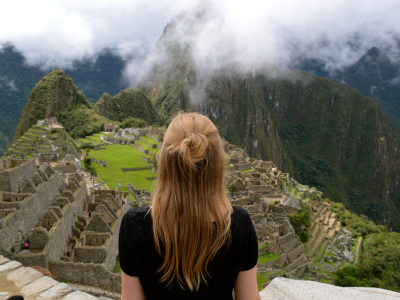 You won't get rich teaching English in Peru, but solid pay and a low cost of living enable foreign English teachers to live comfortably and to enjoy all that Peru has to offer. Housing is not included with tuition, but once you enroll for your course, the onsite course director can assist you with make arrangements. Here are typical options (costs & availability may vary). Homestays are a good way to get to know the local culture and to practice the local language. Price: homestays begin at approximately $495 per month with one meal per day included (Peruvians tend to eat a snack for dinner). The TEFL HOUSE has 24 security with professional staff at the front gate of this gated community. Trainees have full use of the large kitchen, dining room, patio and laundry area. 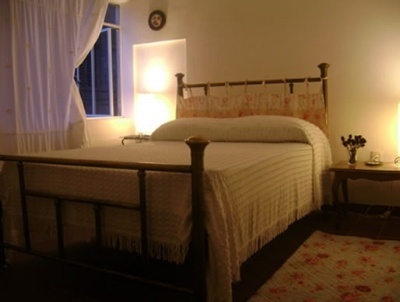 Rooms at the TEFL HOUSE are available for prices between $250 and $450 for the length of the course. Note: availability is limited and they rooms tend to fill quickly.